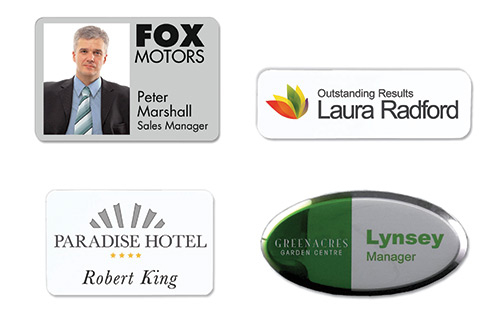 Organisations deploy badges in wide variety of situations – customer facing staff, conferences, exhibitions and meetings. We offer a range of badges, something to suit every application. FAST – We design and produce badges in days, if not hours. LOCAL – Free local delivery is part of our service. Please note we do not offer a walk in service. PERSONAL – If you need further advice or information on badges please give us a call (0800 999 KWIK – easy to remember and free!) - we are very friendly, helpful, techno-savvy and professional. Correspondence/Trading Address: Kall Kwik Slough, Admin Office: 268 Bath Road Slough Trading Estate Slough Berkshire , SL1 4DX Please note we do not offer a walk in service.